Why include anything about Brexit and politics in FunandGames.org? When the site was set up back in 1999 (yup we’ve been around a while), it was to be a resource for young people and those who work for young people. Games resources was just a part of it. That hasn’t changed. The occassional post about Brexit is a resource the young and those working with young people can refer to. Brexit in particularly will affect the young people of the UK and the youth and young people who were able to vote, overwhelmingly didn’t vote for it (1)). If nothing else at the moment it’s their right to find work and move freely through the European Union they are likely to loose (Anybody bringing up the EU Schengen agreement as an argument, should be aware that the UK was never part of the Shenegen agreement. Any failure to manage our borders has always been purely the Governments fault). Brexit is also a game. Albeit a rather large high stakes national and international political game. But it’s still a game with some rules that are explicit, set out by law and then there are the unwritten rules and ones indiviuals know or feel they can get away with depending on who they are. As with any game it involves many different elements, with politics this has been political manoeuvring, money, information and misinformation, truths, half-truths and lies, the media, social class, education and age. To name just a few of the more obvious. Incidentally, if you have ever come across (or old enough to remember) an old BBC series called “Yes Minister” and “Yes Prime Minister“, it’s a fascinating and insightful glimpse into politics. Many of the topics were very pertinent and relatively accurate portrayal, thanks to rumours of ‘informers’. The other reason for talking about Brexit on Funandgames.org? Because, its another voice. Considering the leaders of both the Conservatives and Labour parties have used a three line whip on crucial issues to make sure party members follow their personal policy (I doubt it’s general party policy. If it was why use the whip? ), it’s shown that we don’t really have a democracy (not if an individual or small group of individuals can effectively silence dissent) and in the case of Brexit it’s a government that is certainly not keen to listen to opposition to their ideas. For many what’s commented here is old news, at least for those who have been following the continuing saga that is Brexit. I’d like to say Brexit is the ultimate farce – if wasn’t for the fact that it was so serious and affects so many lives, now and for those still be born. Unfortunately, even at the time of writing over a year later from the EU referendum, scant attention appears to have been paid or addressed by the government for the concerns of virtually half (the 48%) of the nation who voted to remain. 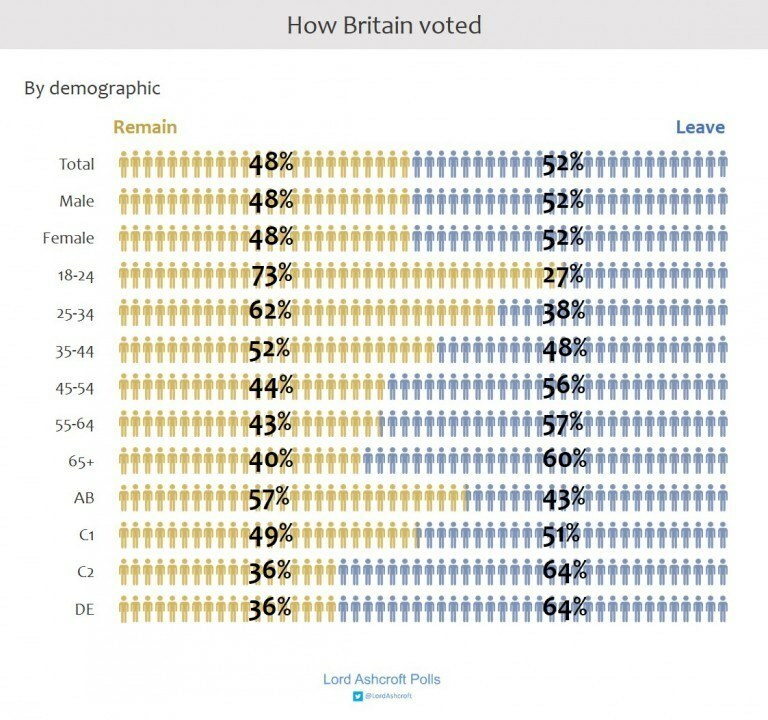 The debate still rages on about how representative 52% is of the nation; considering in reality the 52% who voted to leave was only 27% of the total UK population or 37% of those allowed vote in the referendum at the time of the vote (Yes the figures are correct (2)). On the other hand, those in power and favouring Brexit comment that compared to elections, 72% of the electorate cast their vote, far more than normally in an election so this gives the referendum enough mandate. 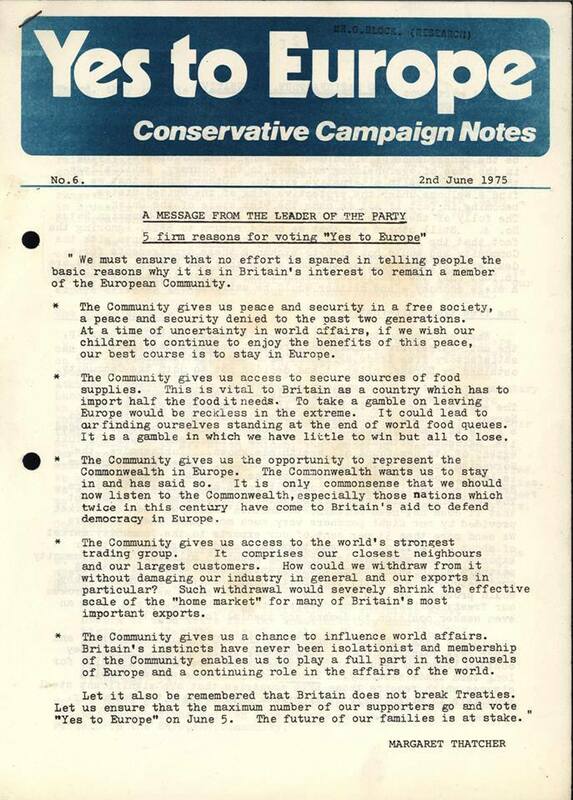 So the government’s rhetoric has always been the “Will of the people”. There are, however, a number of issues surrounding why the EU referendum vote should by no means be taken as the “Will of the People” such as fake news, enough political awareness to make an informed decision, unreliable facts, social bias and cultural pressures, etc. 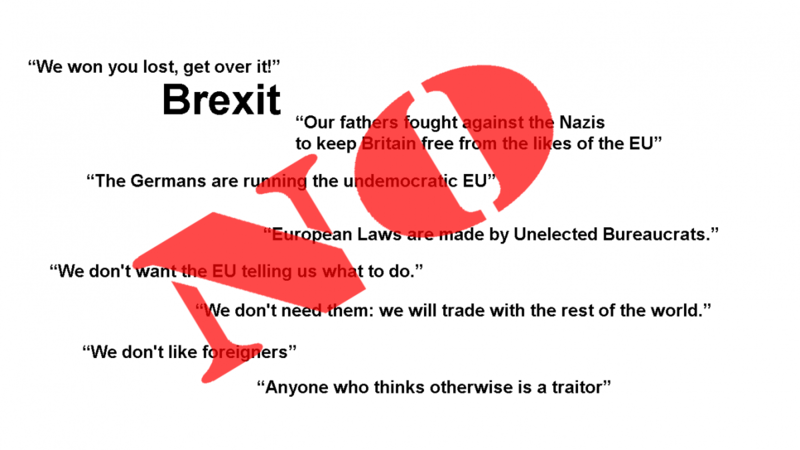 If you want to read more about these, I recommend “The Trouble With The ‘Will Of The People“, by Roanna Carleton-Taylor or Adrian Low’s piece “Brexit is not the will of the British people – it never has been”. Willfully ignoring that 48% who voted against leaving the EU and wishing to remain along with a total misjudgement of the level of feeling about Brexit and the whole can of worms it opened up, was in my humble opinion a major mistake by the government. Believing instead that once a decision had been made the 48% don’t actually care so much about it and would just ‘toe the line’. That didn’t happen. Rather than a united kingdom (deliberately not capitalised) the Conservatives have created a rather divided one. Labour has not helped by not being in direct opposition, despite polls showing 60% of Labour supporters voted in favour of remaining. Of course, the strength of feeling could also be because it’s been one of the very few opportunites the general public have been able to get more involved with actual politics. At best public influence on governence and political life is normally at a distance. You get to vote for an MP to represent your local ward, in a first past the post system that effectively wastes most votes and hope that the MP selected speaks out and votes for your concerns in parliament. Except more often or not they don’t, having to follow their parties ‘line’ on certain issues enforced by the whip and possible expulsion from their party if they don’t toe the party line. What is worrying is the number of former MP’s who were for Remain, but now state they respect the results of the referendum and the “Will of the People”. The question is how much is this needing to follow their party’s whip (It’s a three line whip that’s being used for Brexit) and how much its their own choice albeit perhaps misinformed. It is also interesting that many Conservative MPs when responding to concerns over Brexit are using the same letter that’s riddled with inaccuracies, misinformation and twisted truth. Brexit has one potential upside. It’s increased the political awareness and acitivity of the population. For some political parties that might not be such a bonus. Appears to be a common battle cry of those in support of Brexit. But democracy as James Moore puts it, is much more than simple rule by majority. It requires freedom of speech, protects the rights of minorities and the right to oppose. Discussion certainly does not end at the tally of a vote. And as far as I know the UK is still a supposedly democratic entity (not as democratic as it could be, although it likes to think of itself as a modern democratic one). Democracy also means continuous debate and standing up for the rights of others, in this case a very large proportion of the population who feel their feelings have been totally ignored and the rights of those not allowed to vote are also being trodden on. Brexit is not just about leaving the EU, it’s about a whole host of rights and liberties. The results of the EU Referendum in 2016 reflected the feelings of the 72% of the electorate who voted at that point in time. That was then, attitudes change. If they didn’t we could just as easily pick any point in the past and say it reflects how we feel about things now. Like the medieval period, with serfs and land owners. Political parties when they loose at elections, they don’t stop, they continue to debate and campaign. But 72% of the electorate was still only 51.5% of the UK population at that time. What about the rest? Particularly those minorities old enough to vote, but not allowed to vote in the Referendum, such as EU nationals, living and working in the UK, often with British born family in the UK, adding to the UK economy through tax and also through their work? Or the UK citizens who have lived abroad for more than 15 years? How do they get represented? If the government was more truthful to itself, it would realise that the young were overwhelmingly not in favour of Brexit and at somepoint down the line, very likely try to overturn it. Certainly when enough of the older ‘Leaver’ generation are in their graves and unable to oppose them. The Government could save itself a big, expensive favour and just wait it out unless there is another agenda behind it and Brexit is a mask. Would seem some have forgotten their history. Many of those who fought in the war came out publically, before the EU referendum, in favour of remaining. Winston Churchill was a founding part of the EU and envisaged a Unites States of Europe as a way to prevent future wars. He saw the value of nations working together. If you want to look for Nazis, we need to look at our own attitudes. The fascist attitudes of the Nazis is in our own backyard. The Alt-Right (their own name for themselves to avoid being called fascists) are very much alive and we’ve been welcoming their attitudes. In contrast the EU countries like Germany, Holland and France have been a lot more vociferous and active in saying no to right wing parties. Is this something about Germany? (It’s just one member state in the EU). Germany by point of fact, actively educates against their past. I don’t remember being taught at school about war or the holocaust (maybe that’s a reason why more of my generation voted to leave). And while the Germans abhor any rise in the Right Wing extremists in their country, In France a similar Right Wing candidate lost to Macron a Centrist one and same happened in the Netherlands. Nope, the Right-Wing are certainly not welcomed by the general population of the EU. Another lie encouraged by the government and UK tabloids. 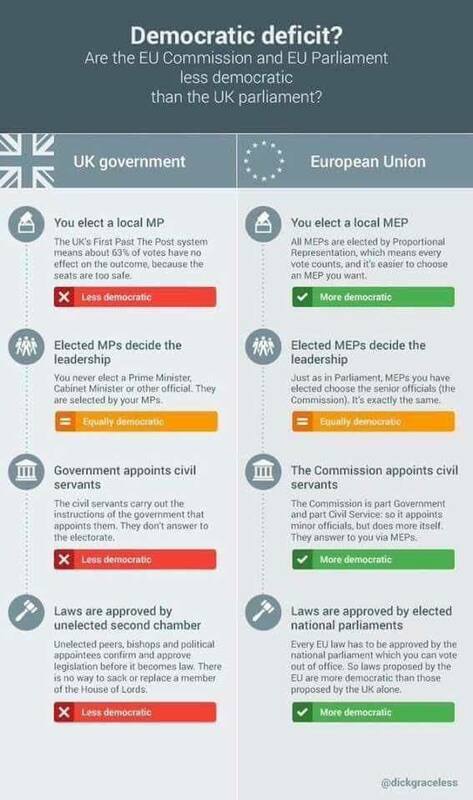 In point of fact the EU is more democratic than the UK. Being part of the EU we have to the opportunity to influence it and possibly fix it if we feel it’s not working. That certainly won’t be possible if we leave. The European Commission only proposes laws. 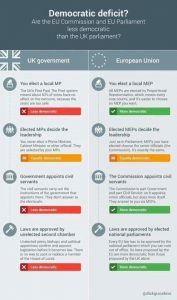 It is the directly elected European Parliament and the Council of the EU (Government Ministers) that debate, amend and ultimately pass European legislation. The EU is undoubtedly an important trading partner (https://fullfact.org/europe/uk-eu-trade/) And the EU collectively compared to other potential markets is one of the biggest. The problem is whether the rest of the world wants to trade with us. With the prospect of Brexit looming many important businesses have either already left or in the process of relocating to somewhere in Europe. Countries like Japan are considering taking their car manufacturing out of the country and have already stated they use the UK to access the European Market. If we’re out of the EU that won’t happen. Well that’s plain enough and unfortunately the attitude is being reflected so much, that we are loosing necessary talent, now. Economies benefit immigration. It brings in fresh talent and ideas. Also ‘them foreigners’ are doing many of the jobs most British would not consider doing. But no matter, with a 96% drop in EU nurses registering to work in Britain since the Brexit vote (they obviously feel unwelcome), that means less nurses to care already on a massive shortage of nursing staff, the NHS already has a shortage of 30,000 nurses, so there’s a greater chance of dying earlier in hospital or at home when ill. Oh and get used to certain foods grown in the UK becoming more scarce as the vast majority of crop pickers are immigrants, and they are not around to pick the harvest. Farmers can ill afford to miss a harvest. All because we have a stupid notion that just because we can possibly trace family history back a few generations we don’t feel we are foreign to this land. It’s a daft notion, even the British Monarchy certainly has foreign blood, that’s why it changed the family name to Windsor. No, it’s called democracy… if you don’t like democracy, most of the population of the UK disagree with you. *65,111,143 is an estimated figure for the UK population in 2016 at the time of the EU referendum. Adjustments to this only affects the calculated value for the ‘Not allowed or unable to vote’. 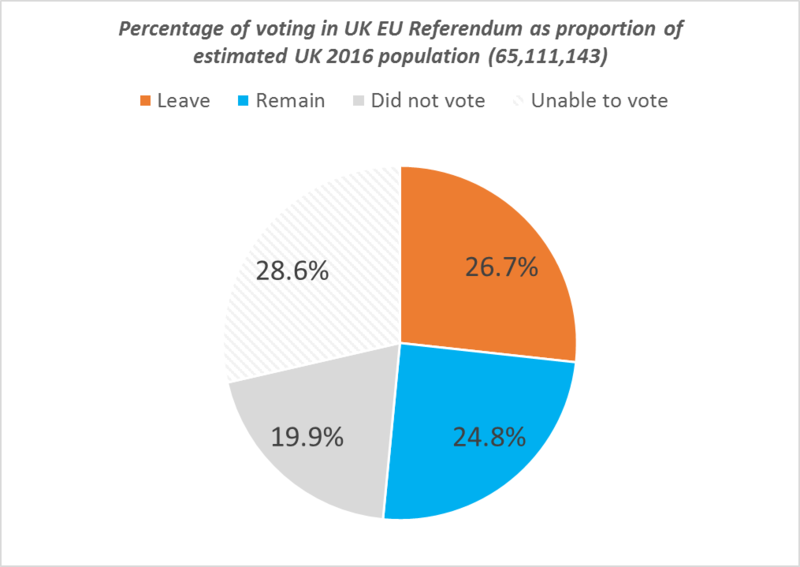 Even if adjusted the estimated population in favour of the Vote Leave (ie less population than estimated) by 2 million the Leave still only represent 27% of the total population. The BBC carried out an analysis of the returns for 1070 wards. For comparision against educational level the percentage of leave vote for each was compared against how many residents in the ward were known graduates. 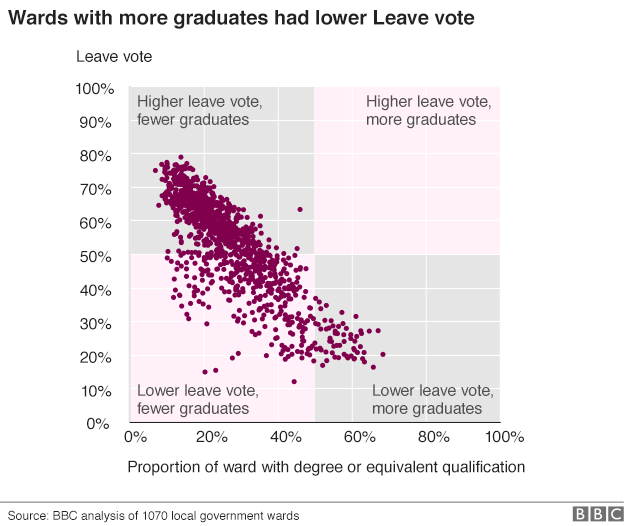 The greater the number of graduates the less ward voted for leave. So why is education so correlated? My personal thoughts are that a) the better educated you are the better you are of being wary of media information, b) the young are very aware of the advantages of being able to work and move freely through the EU. 4) Conservatives Reasons for being in the EU.